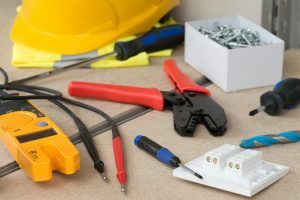 The latest changes announced by the Department of Buildings (DOB) include the imminent relocation of the Electrical Enforcement Inspections Unit and a new requirement for safety registration applicants. The phone number will remain the same: 212.393.2417. The unit will process requests for copies of electrical enforcement violations at the new location. However, customers will first need to pay for the request at the Cashier Unit, located on the 4th floor at 280 Broadway. Customers will then go to the Centre Street location for the copies. This change only affects the Electrical Enforcement Unit. The Plumbing Enforcement and Manhattan Construction Enforcement Units will both remain at 280 Broadway. Effective immediately, original applications for Safety Registrations must be submitted to srgc7@buildings.nyc.gov for review. Applicants seeking Safety Registration endorsement(s) that will allow for construction permits of four or more stories for commercial properties need to schedule an appointment with the DOB’s Licensing & Exams Unit. Call the Licensing & Exams hotline at 212.393.2259 between 9:00 a.m. and 5:00 p.m., Monday through Friday, to schedule an appointment. All Safety Registration transactions will be handled by appointment only, between 1:30 p.m. and 3:30 p.m. on weekdays. If you have questions about how these changes affect your projects, contact Metropolis Group at 212.233.6344.